HAND MADE BLUE & YELLOW CAT'S EYE NECKLACE W/GLASS STARFISH PENDANT/BRACE./EAR. 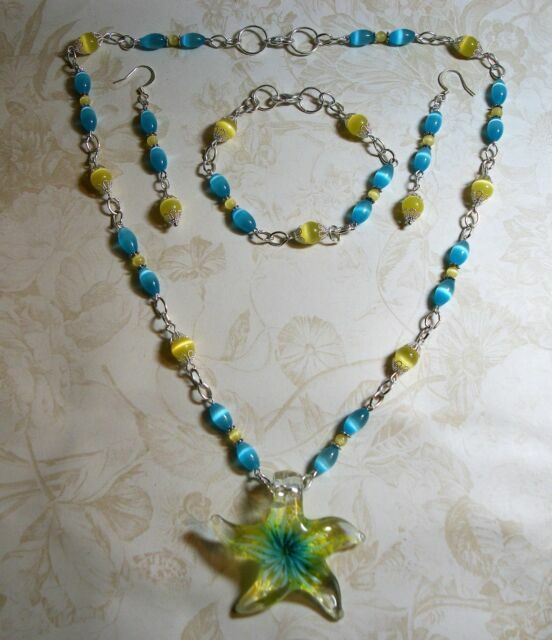 Details about HAND MADE BLUE & YELLOW CAT'S EYE NECKLACE W/GLASS STARFISH PENDANT/BRACE./EAR. Main Stone: Cat's Eye Necklace Legth: 22 in.